We use our creative flair, solid experience and the latest technological tools to transform the simplest idea into an inspirational design, whatever your requirements. 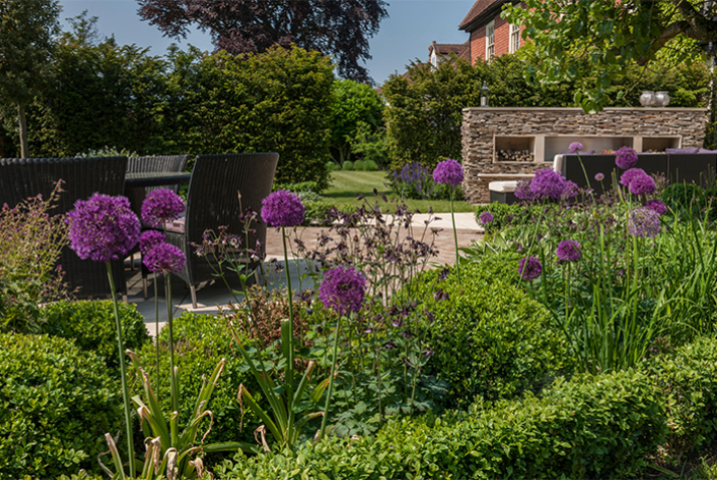 We utilise every inch of space a large gardens give us to engineer something beautiful and practical for you and your family. 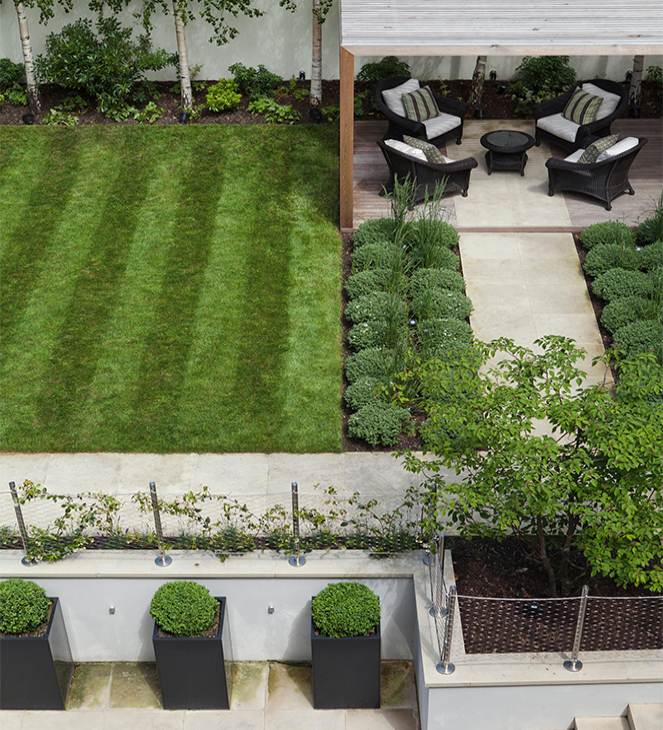 We love the chance to work on the rectilinear gardens you come across in London—especially around Wimbledon and Chelsea. They’re actually a hand-me-down from the Victorians and their preoccupation with structure. 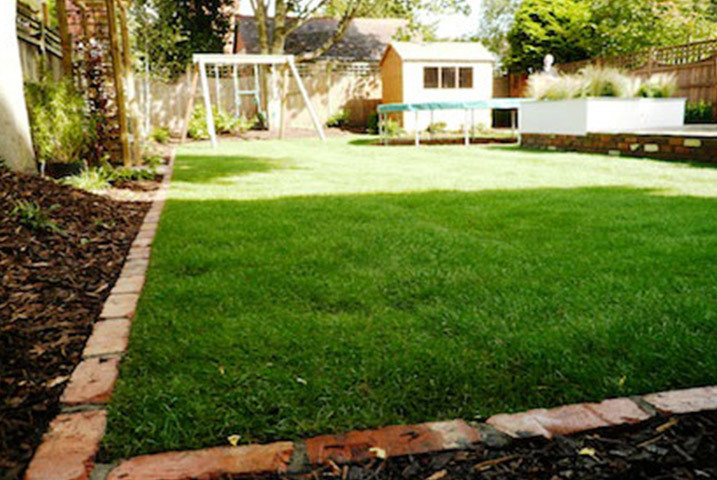 Crucially, hard landscaping elements help to frame large garden designs. In this design, after a lot of thought, we went for a 60:40 ratio of hard to soft landscaping elements. Were it otherwise, the large seating area would make the whole design seem top heavy. 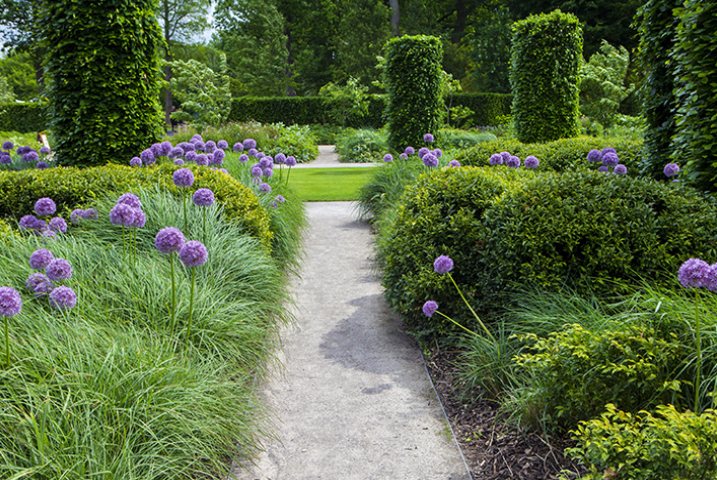 If you have a large border you can do many things such as textural complementation, staggered plants with smaller plants at the from of the border. They feel as if they could have come out of any Chelsea Flower Show from the past 10 years. 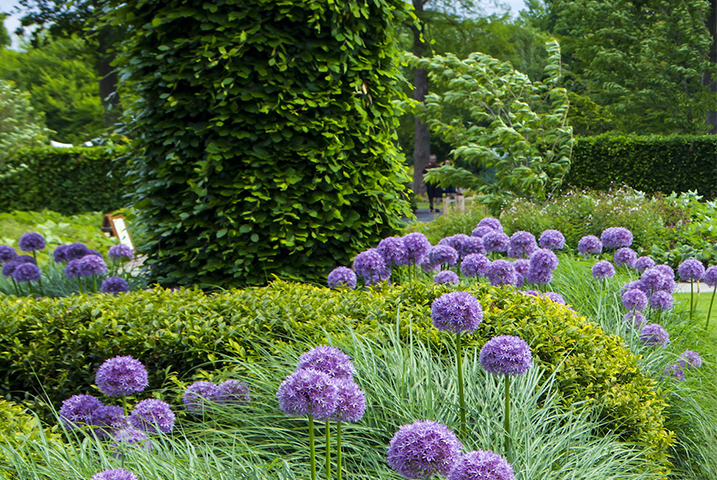 Blues, whites, and purples from Agapanthus, Allium, and Foxgloves are very much on-trend. 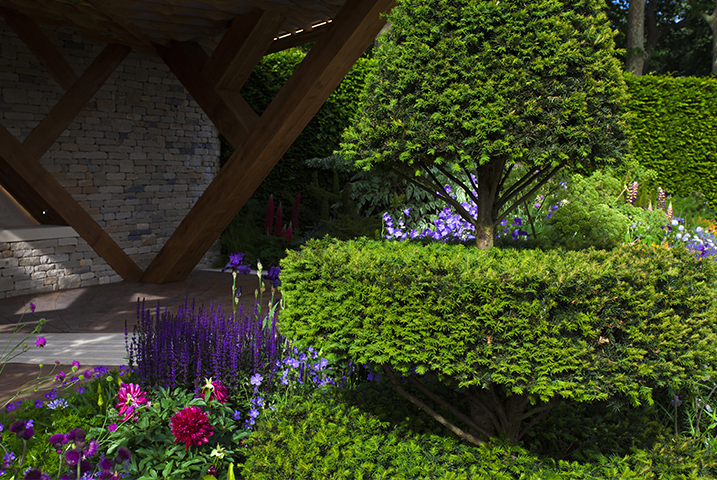 In this large garden design, box hedge plants have been added, which are particularly susceptible to blight and are a favourite of caterpillars too. other alternatives are available such as yew, which have the same appeal. Unfortunately, lower maintenance alternatives such as yew just don’t have the same appeal. 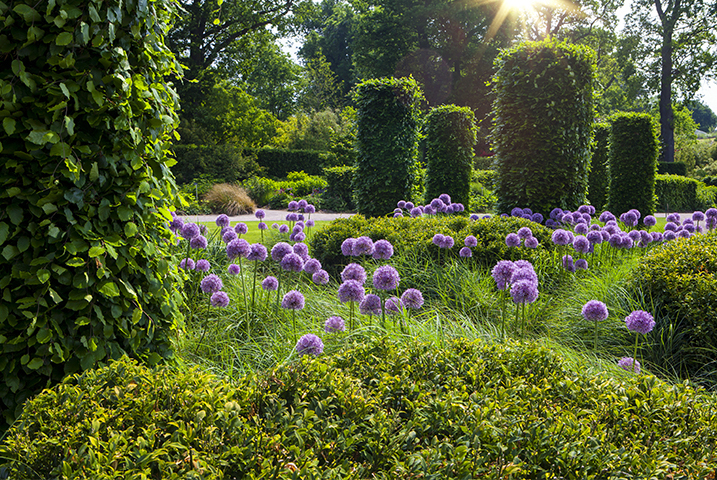 Gardens at the side of the house are often forgotten about until the warmest months. So why not design a large garden with that in mind? 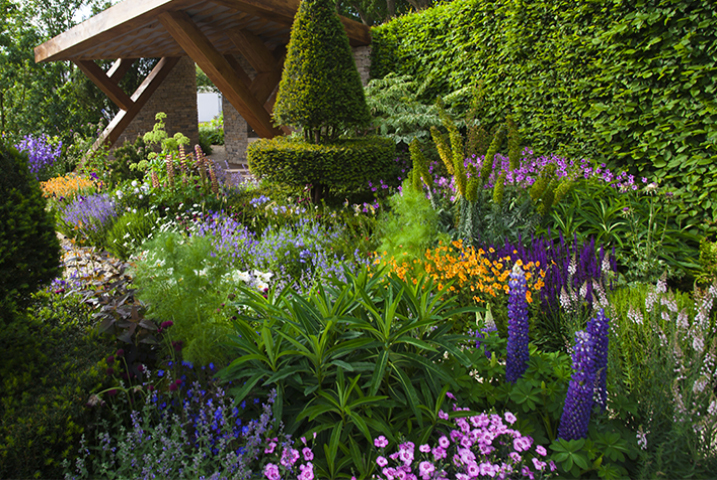 Summer gardens draw you in with visual interest from diverse shapes. Our summer designs encourage exploration—even if it’s just to find a spot to sit with a book and white wine. 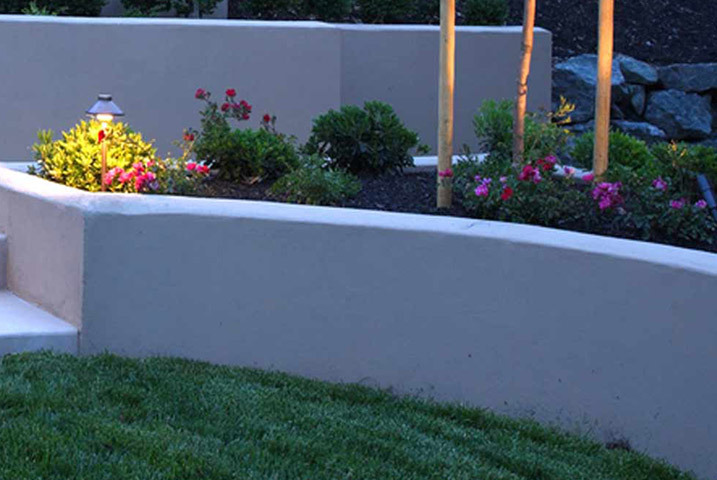 Curved or meandering pathways add depth and help to create this impression. So do themed areas and quirky ornaments, which you have to seek out to enjoy. 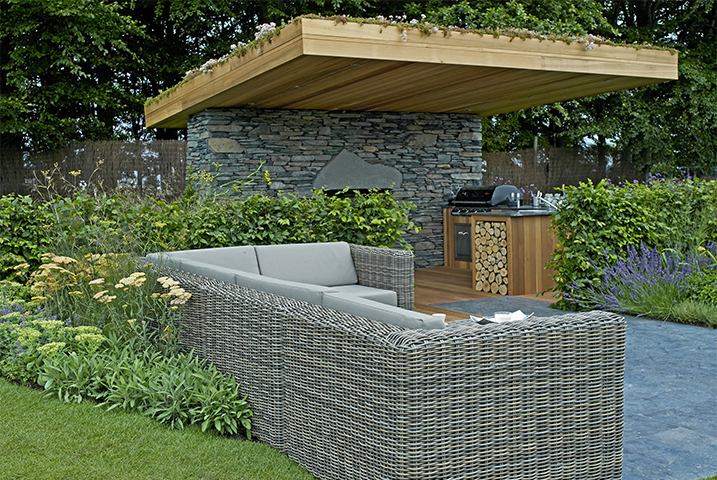 The modern structure in this large garden design looks enticing for the family. Note how grounded it looks within the meadow-like profusion of flowers. The wood construction also promotes this effect. Structures like this create the impression of safety by appealing to our nesting instinct. They also shelter us from downpours, keeping your large gardens accessible. We introduced the tall plants to separate the structure from the house, which allows a distinct style. We like a challenging brief. The owner of this garden wanted a fusion of contemporary and rustic styles—which, to my mind, is a little like welding the front of Ferrari to the back end of an Aston Martin. 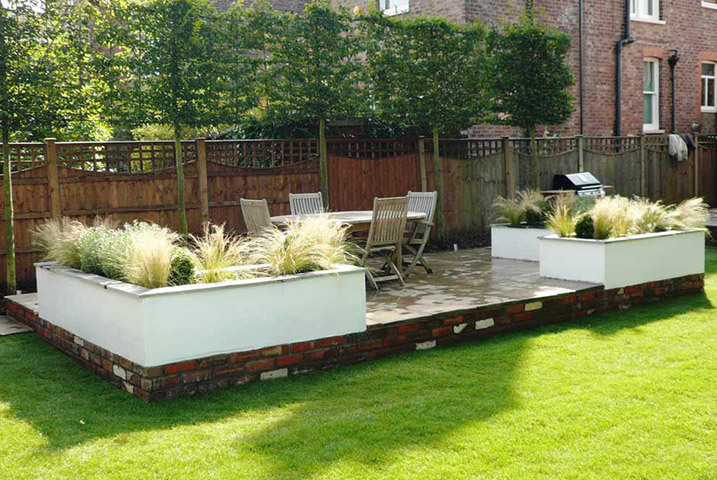 However, the result of this unconventional garden design works rather well. The juxtaposition of the reclaimed bricks and white rendered walls gives it a unique appeal. And the apple trees and grasses top it off. Large garden buildings can look absolutely fantastic if they are designed to compliment the garden. We think it is even more inviting than the last one. Thanks to functional features and the complementary colours and textures, this space imparts a warm and homely feel to draw in your friends and family. The logs here aren’t actually intended for any practical use; they’re included because they add texture and visual interest. 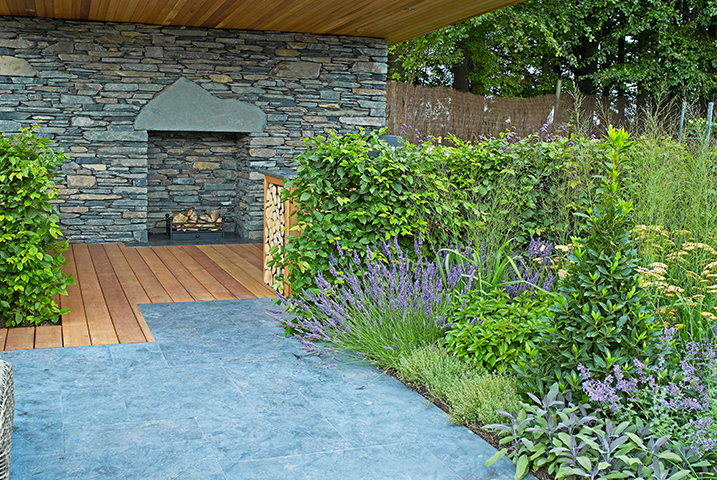 Similarly, the textural plants to their right were deliberately chosen to make the logs feel more solid by comparison. 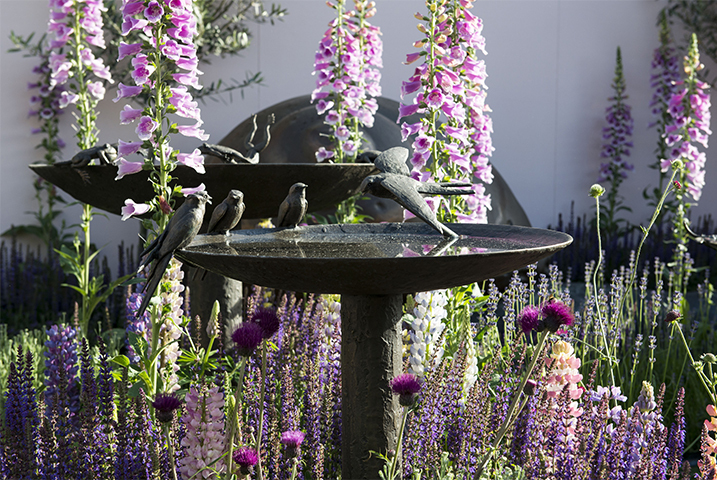 We often find ourselves borrowing from the Victorians for contemporary garden designs in London. 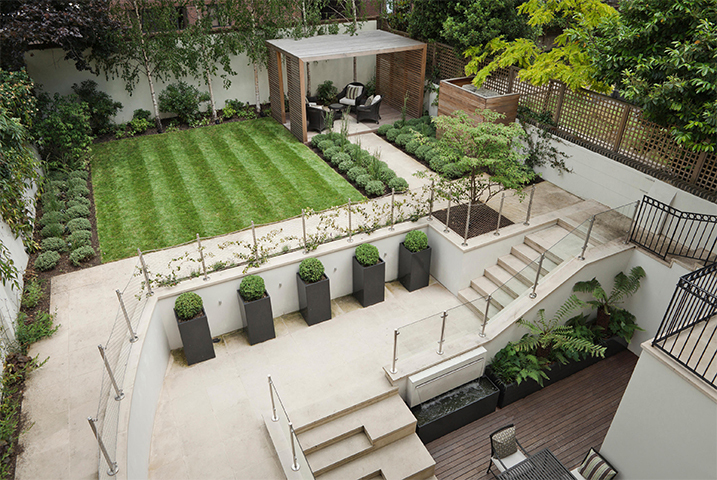 Structured plants have been used to retain this large garden’s sense of space without it feeling too open or exposed. it is important to allow the eye to travel freely around the garden. The physical feel around the garden must feel unobstructed. Hence choosing a gravel pathway for its stimulating feel underfoot. Paving stones would have felt too formal. 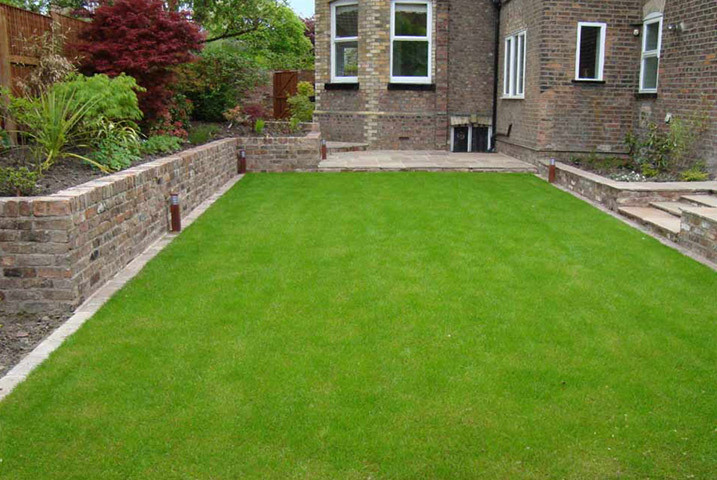 This garden wall looks absolutely fantastic, just like it’s been there forever. You can really feel the history that’s gone into ageing these bricks. In fact, we have managed to create a brick layout that looks as if the garden was built around them, not the other way round. We carefully chose a colour palette of the paving that complements the brickwork. 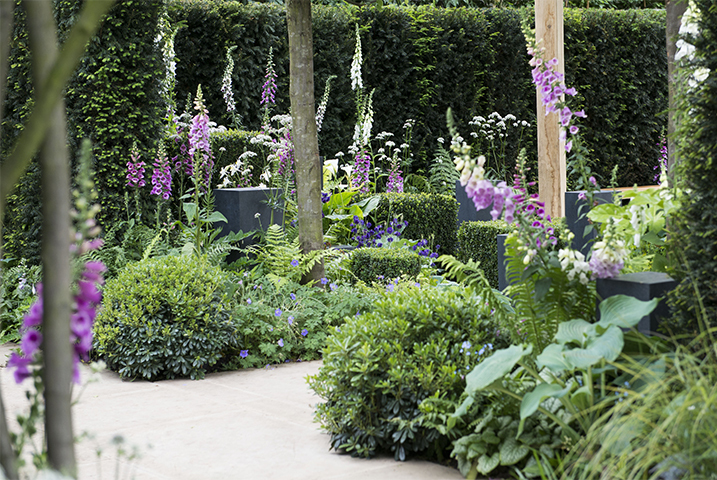 This adds to the sense of rootedness and gives rise to a subtle refinement of this London garden. 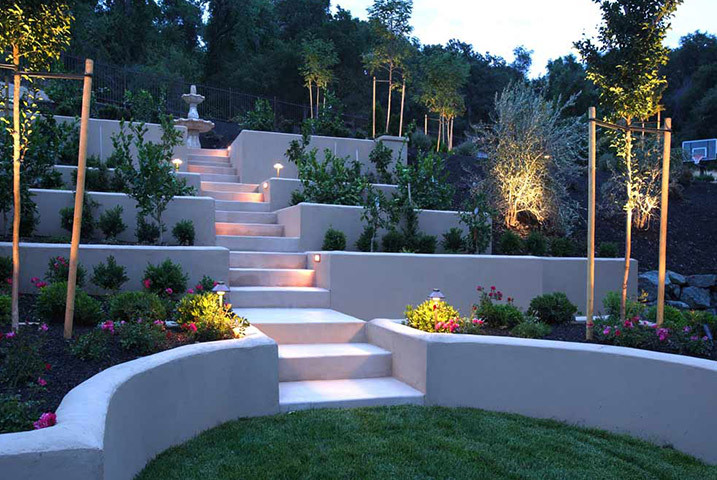 Lighting can be a wonderful addition to a contemporary garden design for London. It is less common in the UK but is a particular favourite in both Australia and the US. British gardeners are missing out as lighting can relax you and your family after a stressful day at work. The ambient illumination of the white rendered wall in this picture is at once both soothing and impressive. We designed it in such a way that key garden features can be seen, even at night. 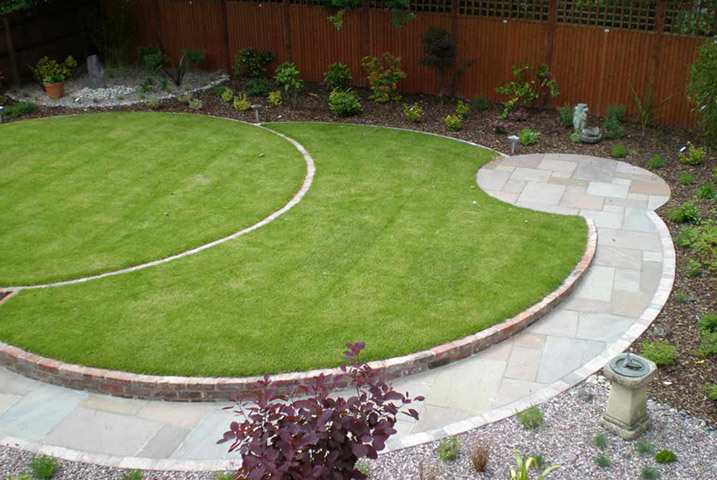 We emphasised and modernised this circular lawn garden design by raising it off the ground. It’s a good trick for any shape, be it curving or straight-edged and angular. And it’s especially effective in this case, thanks to our use of reclaimed brick and its luxuriously variable colour palette. 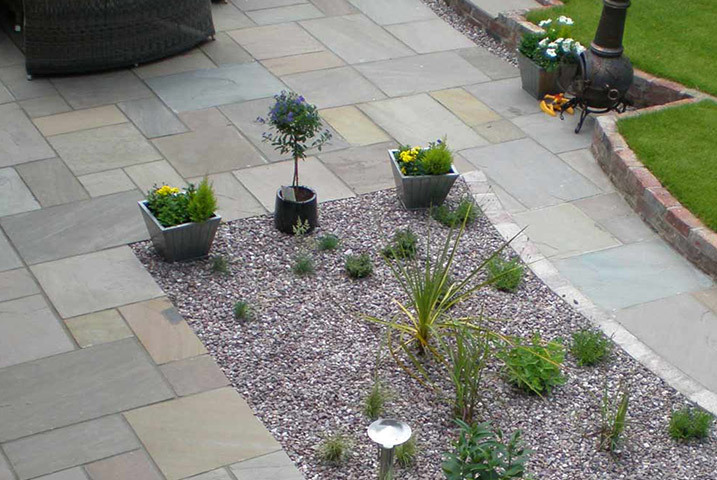 The calibrated stone paving was chosen to complement this, albeit with a modern regularity as requested by the client. 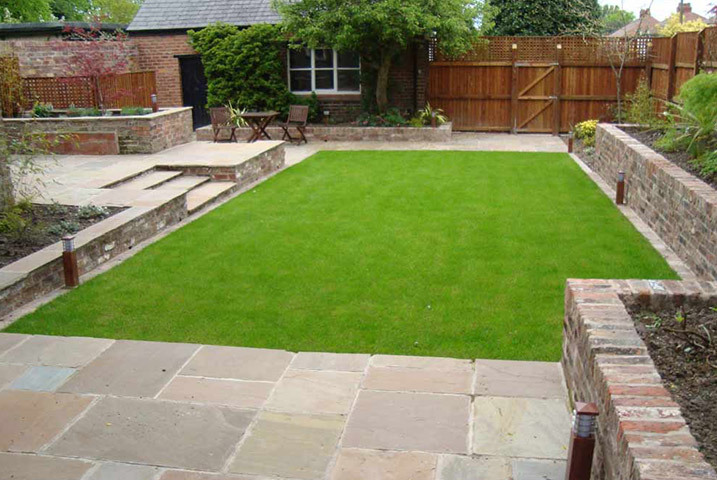 A lighter stone could easily have overpowered this large garden design.